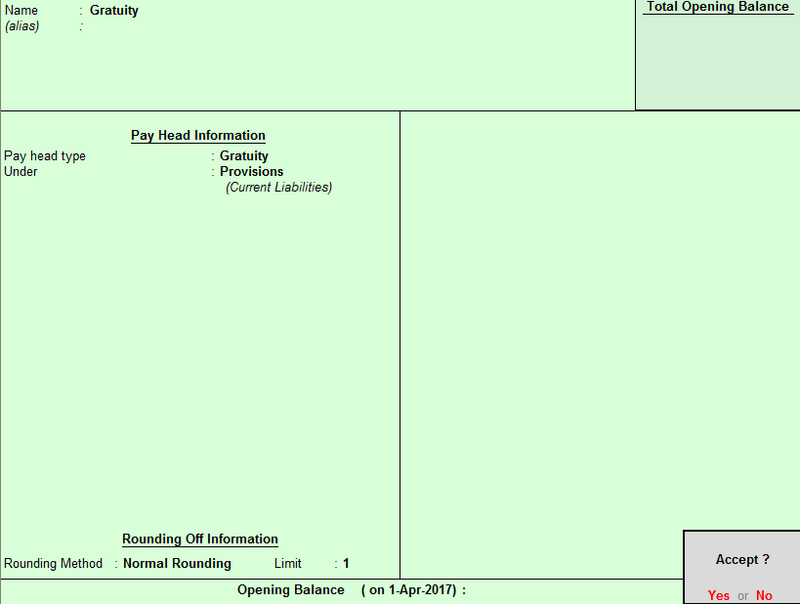 Home / Payroll / How to Creating Gratuity Pay Head for Payroll in Tally? 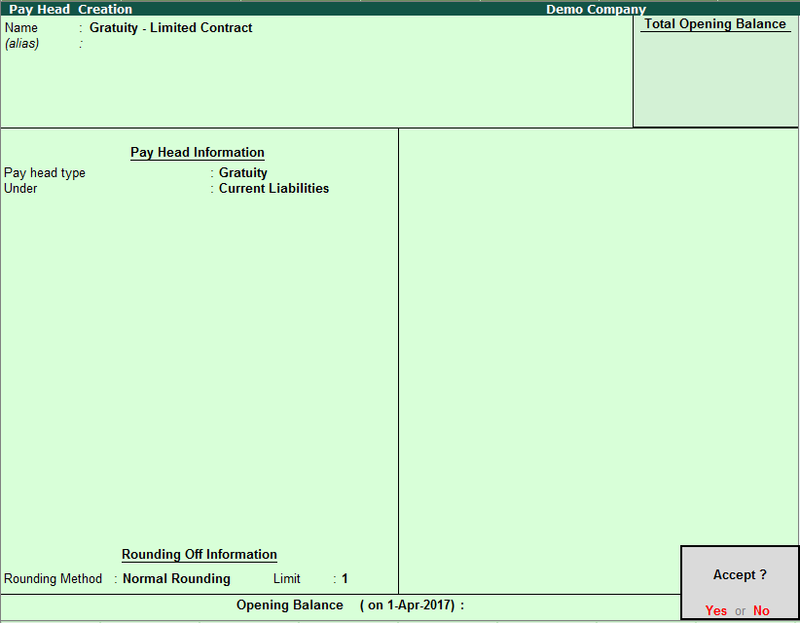 How to Creating Gratuity Pay Head for Payroll in Tally? In India gratuity is a type of retirement benefit. It is a payment made with the intention of helping an employee monetarily after his retirement. The payment of Gratuity Act was passed by Indian Parliament in 21st August 1972. In this post we know about setup of Gratuity pay head in Tally. Its a very small and very easy process. To create the Pay Head for Gratuity Computation. Enter the Name of Pay Head. 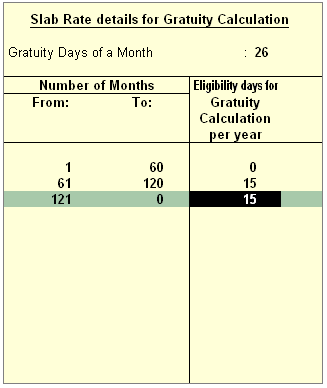 Select Gratuity from the List of Pay Head Types. Select Provisions as Group from the List of Groups in the field under. Set Alter Income Details to Yes. Income Tax Components is defaulted to Gratuity while creating the Gratuity pay head. Deduct TDS across period is defaulted to No as the tax has to be deducted in the same month when gratuity is paid. Select the rounding method as applicable. Accept to save the Pay Head. 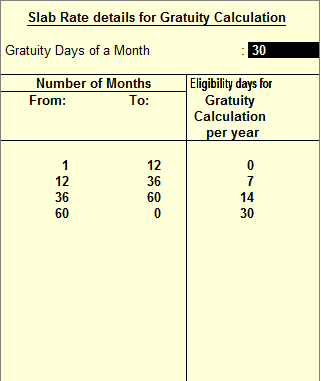 Note: To use the Earning Pay Head for Gratuity calculation, set Use for Gratuity? field to Yes in the ledger creation screen (for Pay Heads such as Basic Salary, DA, and so on, created under Indirect Expenses). Select the Rounding Method from the list, if applicable.